R.L. 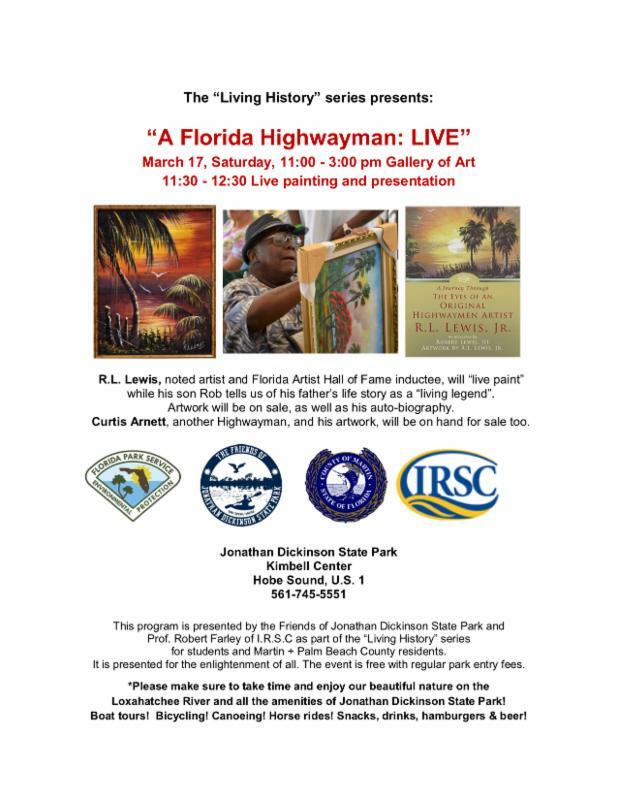 Lewis notes artist and Florida Hall of Fame inductee, will ” live paint” at the Kimbell Center at Jonathan Dickinson State Park, while his son Rob tells us of his father’s life story as a “living legend.” Artwork will be on sale, as well as his auto-biography. Curtis Arnett, another highwayman and his artwork, will also be selling artwork. This series is presented by the Friends of Jonathan Dickinson State Park and Prof. Robert Farley of I.R.S.C. as part of the “Living History” series.